Hip resurfacing was developed to treat painful arthritis in young and active patients. We offer hip resurfacing in Southampton as an alternative to total hip replacement surgery. 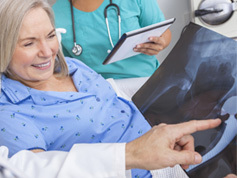 It is now an established technique and the results for carefully selected patients are usually excellent – in some ways better than the results of total hip replacement. Dislocation is one of the most common complications of hip replacement, and it’s a problem that is virtually eliminated with hip resurfacing. Most patients who have had hip resurfacing surgery return to work and sports within a few months of surgery. 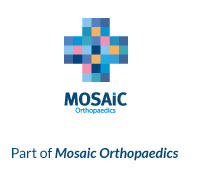 Hip resurfacing is as the name suggests – a re-surfacing of the hip joint. Unlike with a total hip replacement, the head of the femur is preserved rather than removed. This makes it easier to replace if it is necessary at a later date. If you have a total hip replacement when you are young, you may find that the hip eventually wears out. If you are particularly active or wish to play sports, your replacement hip will wear out faster. Revision surgery is one option, but it can be quite an undertaking. Hip resurfacing was developed to reduce the need for major revision surgery, and for many patients this has been the case. Hip resurfacing surgery is now an established technique which provides an excellent solution for many patients. We tend to use it in younger active men where the long term results are excellent. There have been problems with some types of hip resurfacing devices, which has made many surgeons reluctant to use this technique. Some devices were withdrawn from the market, but we use one which has over 10 years history and excellent results for carefully selected patients. We use the tough metal alloy chrome cobalt molybdenum for its durability. You may be aware of concerns about the effects of long-term exposure to chromium and cobalt. While it’s true that high concentrations of these metals can damage cells or cause allergic reactions, there is no evidence that these materials are harmful to health in the longer term. If you would like to discuss whether hip resurfacing could be an appropriate operation for you, please contact our surgeon, Jeremy Latham.